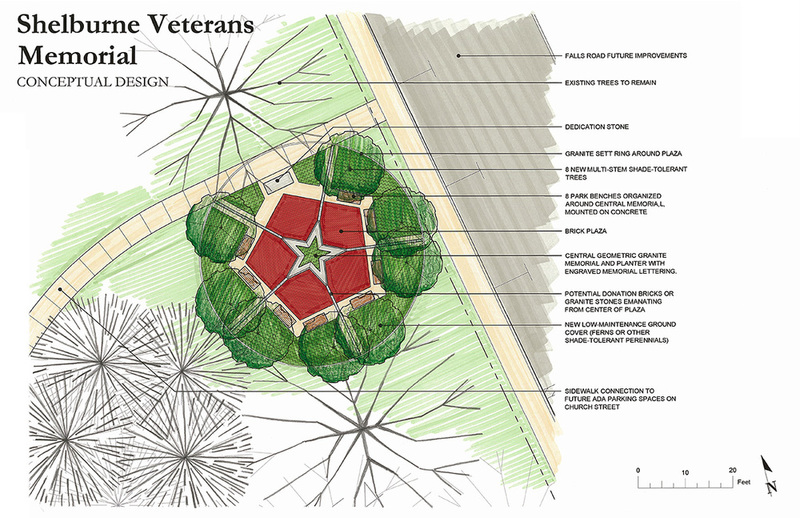 T.J. Boyle Associates, Landscape Architects and Planners, were selected by the Shelburne Veterans Memorial Committee to design a memorial for the eastern half of the Parade Ground, at the corner of Church Street and Falls Road in Shelburne, Vermont. 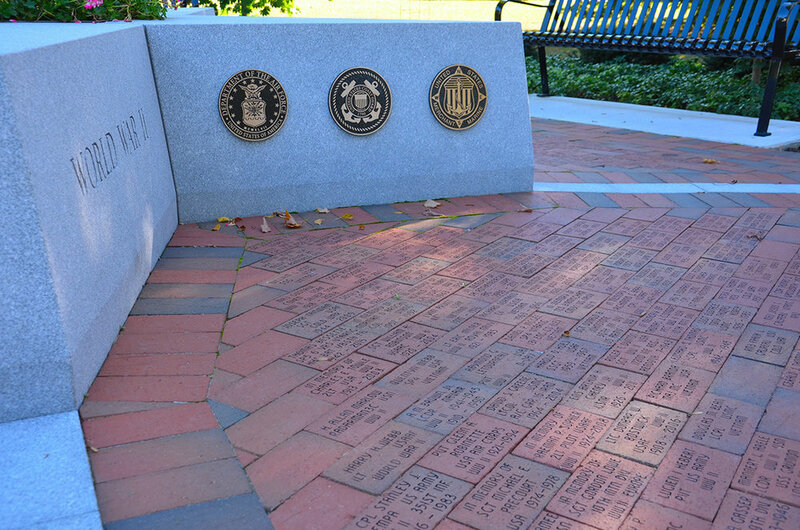 The Shelburne Veterans Memorial Committee was created to realize the local desire for a permanent space within the Town of Shelburne that would honor veterans of the US military services. The design concept focused on a space that compliments the character of the scenic Shelburne Village, and included materials such as granite and red brick to match nearby materials and character. 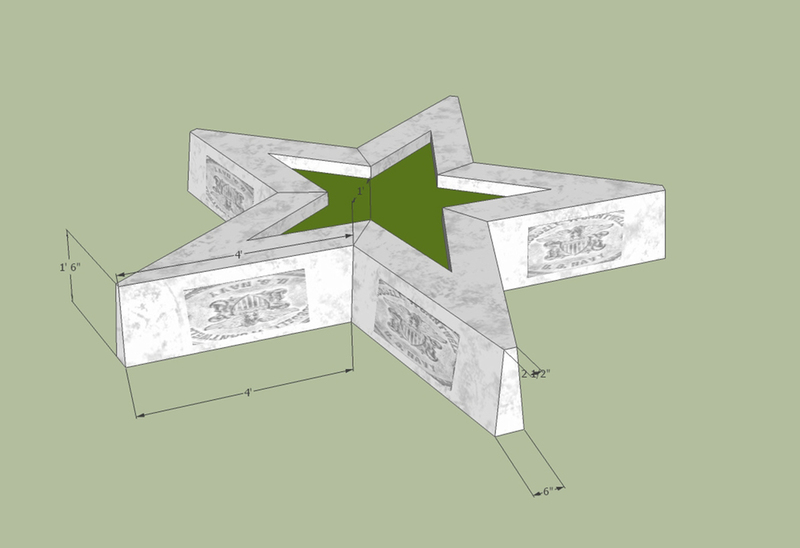 A geometric star-shaped granite monument serves as the focal point of the space, and is a direct reference to the traditional five-pointed star used by the US military, such as for the Medal of Honor. Radial granite pavers emanate out from the star’s rays to the edge of the space, and these pavers are flanked by washed river stone as they extend through the planting bed, which allows for visibility into the space. Additionally, a dedication stone was included to mark the entrance, and all branches of the military - Army, Marine Corps, Navy, Merchant Marine, Air Force, and Coast Guard - are recognized. 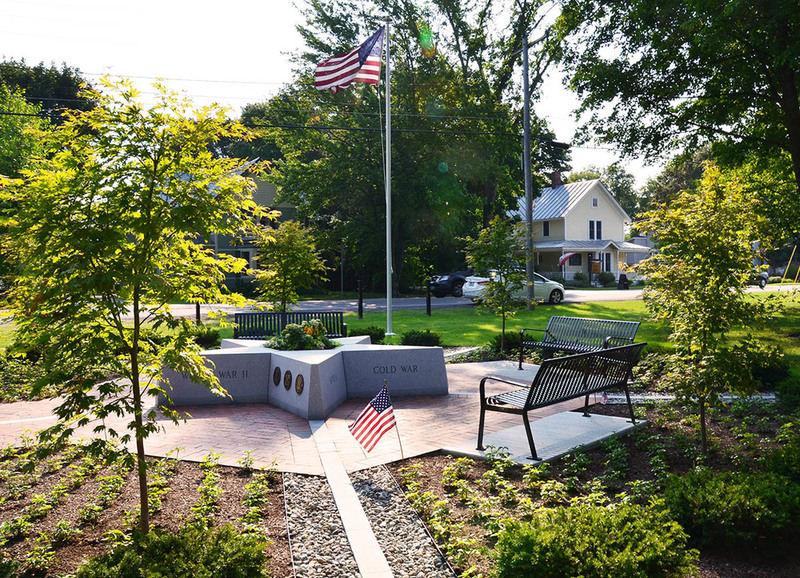 The Shelburne Veterans Memorial was the recipient of the 2016/2017 Vermont Public Places Honor Award.